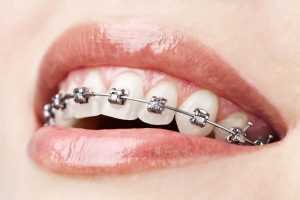 Are braces worth the effort? This is something that every patient needs to decide for themselves. Part of the decision-making process is knowing what you are getting yourself into and preparing yourself for the whole process as well as specific parts of it. When you visit a dentist like Burwell Dental in Cambridge, you get plenty of information to help you on your way. They will talk to you about options, the length of treatment, costs and anything else you want to know. Straightening teeth takes time. You would not want your teeth to suddenly move in any case! Patience is required while the dentist works with your body to gently make changes. For some patients, understanding the process helps. Your braces will apply gentle force to your teeth to get them to move in a certain direction. Sometimes that involves pulling them down into place or revolving them. The nerves in your teeth interpret the pressure being placed on them and send messages that start processes in the surrounding tissue and bone. Some of the bone begins to break down to allow for movement. On the other side, some bone begins to build up to ensure that your teeth stay secure the whole time. You need to budget for your braces. It may be that you can spread the cost of this over time. Your dentist will be able to help you to further understand the costs involved. There may also be different options available to you to mitigate that cost if required. If you want to make your treatment more enjoyable, try investing in a bit of anticipation. Knowing what you want and going for it can be an uplifting life experience. Your dentist may be able to show you what your smile will look like at the finish so you have something to look forward to. Maybe you could even plan some treats for yourself to mark special points in your treatment such as the halfway point or the end. All of this adds to the sense of getting somewhere and can be very helpful if you think you will find any part of the journey challenging.